On April 6 at 6 p.m. in Kim? a lecture by curator and writer Benjamin Thorel and art historian, editor of MAY Catherine Chevalier was held. Benjamin Thorel in his part of the lecture titled “The Gentle Art of Making Enemies” talked about James McNeill Whistler (1834 – 1903), British painter and writer, who fostered elaborate forms of positive and negative critique while fighting long letters with Oscar Wilde thus emphasizing the importance and possibilities of the precise use of language. Further in her lecture art historian Catherine Chevalier presented the newest issue of contemporary art magazine MAY, No. 5, and will talk about “the history of the present”;. While lecturing on the history of the contemporary French art scene Chevalier explained the background of her commitment to found a new magazine. During the evening at the exposition of “Valoda mākslā / Two Occasions” a performance by Gerry Bibby “Untitled Making Room in Two Acts. Act Two: Debut” took place. 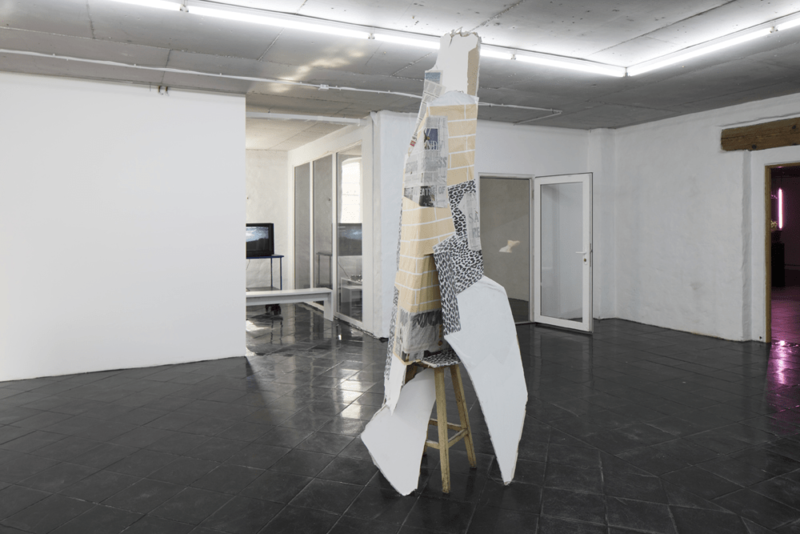 Benjamin Thorel together with a group of artists, curators, critics and writers (Thomas Boutoux, Laure Giletti, Boris Gobille, Guillaume Leblon, François Piron and Oscar Tuazon) runs a gallery and shared office space castillo/corrales, which was initiated in early 2007 in Paris. Apart from castillo/corrales, Benjamin Thorel works as a freelance curator and author. He initiated the project Section 7 Books. It is a castillo/corrales’ bookshop, an attempt to establish a new infrastructure in Paris that plays an active role in the ecology of small-press publishing, introducing a selection of books and journals to Paris audience in an intimate environment conducive to reading and conversation. The first issue of MAY was published in June 2009. Since then it has developed to one of the leading contemporary art magazines in Europe questioning the neo-liberal production methods in contemporary art as well as critique and theory building.